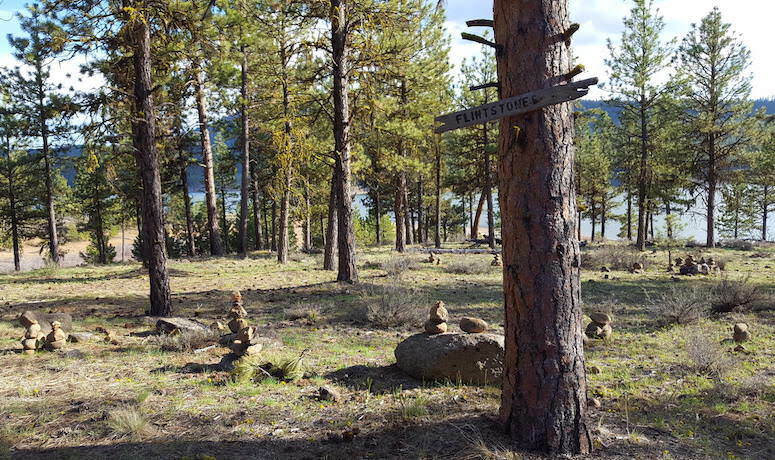 A sparkling gem in Eastern Oregon beckons with a family-friendly shore trail, as well as a more challenging extension. Riders of all levels can enjoy the Lake Shore trail around Phillips Reservoir, which can be ridden as a loop of about 16 miles, or an easy out-and-back of about 13 miles along the South Shore Trail – the most popular section of the loop, well-traveled and smooth, with very little elevation gain. 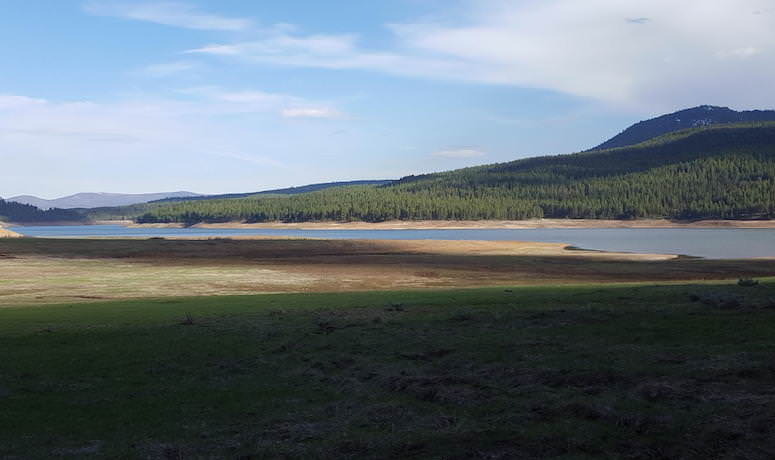 When Mason Dam was constructed in 1968, it created Phillips Reservoir – one of the biggest bodies of water in Eastern Oregon, and a natural playground of clear water framed by mountain peaks and surrounded by arid land. With a capacity of 114,000 acre-feet, the reservoir offers a giant oasis to explore. If you arrive in the spring, you may be greeted by a breathtaking view: vast meadows covered in a pink carpet, courtesy of a small, spiky iris commonly known as Grass Widows. But you can relish the scent of sagebrush and pine, discover abundant wildlife, and savor expansive grassland and mountain views all year ‘round, with Elkhorn Ridge and Marble Point providing scenic outlines on the horizon. 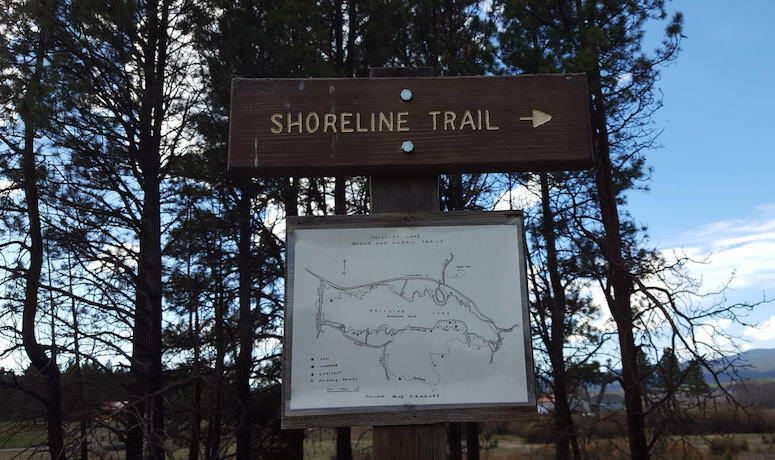 The South Shore Trail stretches out about 6.5 miles from the trailhead (look for brown markers for Trail 1610), and offers the easiest and most seasonal access. Cross low wooden bridges, and dodge the large, surprisingly solid pinecones that can take your front tire in a new direction. If you’re feeling more adventurous when you reach the end of the South Shore Trail, forge ahead by dropping onto Lake Road and then turning right on paved Hudspeth Lane for a half-mile, sweeping through pockets of cattails, tailings from old mining operations and marshes that provide sanctuary for numerous wildfowl. Look for the old green gate pillars; they mark your right turn to explore the wetland area at the start of the north shore’s trail. Veer northeast for a bit and find the sign for the Shoreline Trail/Mowich Loop. This side of the reservoir is much more seasonal; you’ll want to wait for things to dry out before coming here. 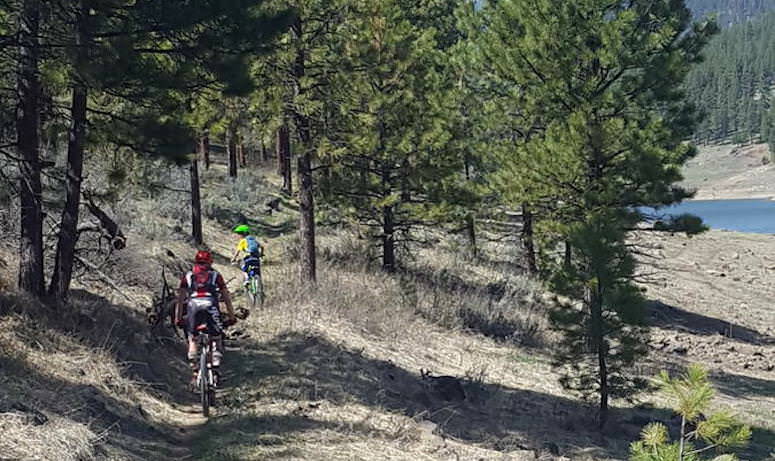 But if you do, revel in a more challenging ride, with 550 feet of elevation gain and sections of riding on a rock surface with only cairns to mark the trail. Keep a sharp eye for pocket ponds, more birds, and oddly beautiful rock formations. The north trail veers in and out of inlets, up onto the highway for a stretch, and a short climb on pavement back near the trailhead parking area. Signage should keep you on track throughout. No matter what section(s) you ride, and with whom, this route is a great way to create an intersection of bicycle and beauty! Note: There are numerous trails that intersect the Lake Shore Trail; focus on staying on 1610. 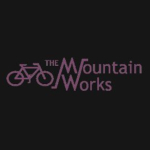 The Mountain Works Bicycles has been providing bike fun to northeastern Oregon since 1982. The Hartz family – Whit, Mavis and Hazel – are the current owners, and they firmly believe healthy, active choices result in a better life. They see the value of bicycles as a mode of primary transportation, a fitness tool and just old-fashioned fun. They enjoy and promote bicycling and other outdoor activities as healthy solo or group activities. And they understand that riding and playing styles are as varied as the rainbow.